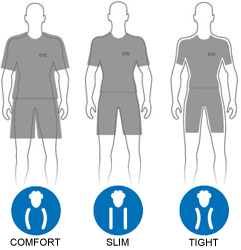 The Gore Air 2in1 Shorts offer fit with function and style! Lightweight shorts offer plenty of freedom of movement for longer runs. Gore Running Wear Air 2in1 Shorts is rated 5.0 out of 5 by 3. Rated 5 out of 5 by davidch52 from The best 2 in 1 running shorts I have ever bought Great quality, the elasticated inner doesn't loose its strength even after many washes. Good fit, not too baggy although if ordering you may need a larger size than usual - I am a medium in all other products (Nike, 2XU, Under Armour etc.) but large in Gore. Although I train in other shorts i always wear these for longer runs and races. Rated 5 out of 5 by lordmonkeyman from Great shorts. Great shorts fit well, and warm for winter training. Sadly these are not made from gore-tex waterproof material.